I tried editing my response to Congressman DeFazio to a reasonable size. Unfortunately, that admittedly off-the-cuff editing effort left me vulnerable to suggestions that I don't understand simple concepts such as base load and firm power. So I have supplied a less edited version of my response. "We should certainly be moving toward more alternative energy sources like wind and solar, but the alternative generating capacity required to replace those dams would not come on line for at least a decade . . . ."
Peter DeFazio, in an email dated June 15, 2007. Wind and solar energy are important parts of a new energy strategy to meet the demands and challenges of the next century. Even if new energy sources would not come on line for at least a decade, given the glacial pace of Federal action it is difficult to conceive that the power generated by these dams would go off-line prior to completion of those or other projects designed to ensure a stable regional supply. The task of removing those dams is simply too large to complete in a timeframe that would threaten the regional power supply. "[T]he Northwest Power and Conservation Council estimates that all existing and planned alternative energy projects will be required to meet increased demand, not replace lost hydropower. Removing these four dams would likely create an energy deficit in the Northwest." This statement is not strictly true. The Council did not identify enough conservation and renewable resources available to the region at costs at or below market to cover the region's expected load growth. However, it did not say that more was not available, especially in the area of combined heat and power ("co-gen") and natural gas conservation, at comparable prices. The Tellus Institute, for example, identified thousands of additional MWs available at comparable prices in a peer-reviewed study published in 2002 (www.nwenergy.org/publications/reports/tellus-study/). Just last month the Council released an interim report on the region's conservation achievements and found that much more efficiency is being acquired than their 5th Plan expected (www.nwcouncil.org/library/2007/2007-7.htm). My disagreement with your statement notwithstanding, SEAPA directs the Comptroller General to study "[t]he effects of dam removal on energy production, including regional effects of any changes in energy production, identification of alternative renewable resources or energy efficiency measures that could replace any loss in energy production, and the benefits and costs of such energy alternatives." SEAPA at 10. Your statement is not a valid reason to oppose SEAPA. If your statement cited above is accurate, the Comptroller General of the United States will reach the same conclusion. "We often hear that the lost power of the lower four dams on the Snake River can easily be made with alternative energy." As noted, I have never stated that it would be easy to make up for the power generated by these dams. But while not "easy," it is achievable. This region has a ready infrastructure and the experience to accomplish the task. Removal of these dams would create scores of jobs in the short term. Building an energy infrastructure for the next century and beyond will create many more jobs and infuse much needed capital into our regional economy. It basically comes down to a question of money and will. 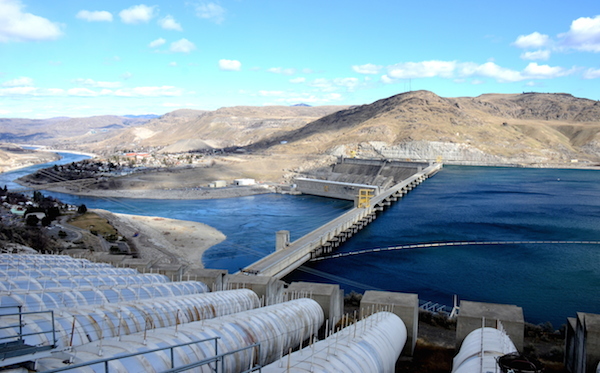 In any event, because SEAPA directs the Comptroller General to determine whether the energy lost from removal of the four Snake River dams can be replaced by other sources, the text of the Act invalidates this reason for your opposition. If it is not possible to make up for the lost energy, the Comptroller will reach that conclusion. If it is truly your concern that the energy lost cannot be replaced and you believe that to be factually accurate then support the Act and help put to rest that argument. I do not accept the premise that because something is not easy that it should not be done. In addition, until battery technology improves, intermittent resources like wind and solar cannot effectively replace base load resources like hydropower, because the wind does not blow all the time and nor does the sun always shine in the rainy Northwest. Peter DeFazio, in an email dated June 15, 2007. Interestingly, this statement ignores the very real problem for the region in its heavy reliance on hydropower. Not only does the wind not blow all the time, but the region cannot count on consistent rainfall either, and that is a much more serious problem. The four dams in question here produce around 1,100 aMWs in an average precipitation year, they must be extensively backed up with other resources to cover dry years. In fact, the four Lower Snake dams can be counted on to produce less than half that amount under typical dry conditions. Thus we already can't count on them very much. Replacing them mainly with energy efficiency would produce a much more reliable power supply. So there it is folks. Flame away friends--but don't suggest because we disgree that I don't understand the issue.